OH. This really is a thing of beauty I simply couldn’t walk away, in its glass bottle, gold lid and shimmering pink contents it was love at first sight, but what is it? It’s the super fancy version of Mac’s strobe cream or Estee Lauder’s spotlight; you know those luminous creams that add a healthy sheen all over the face or a subtle high light to cheek bones? This is the crème of the crop. 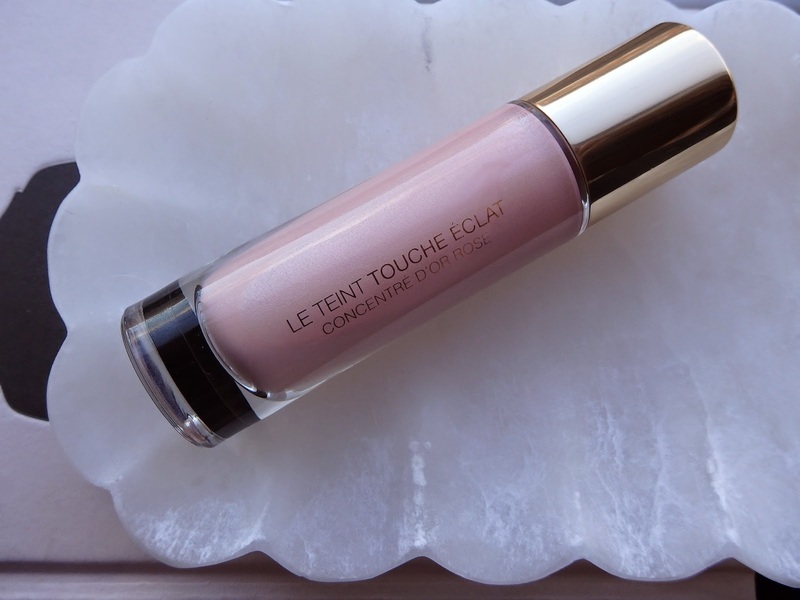 A shimmering rose tinted liquid adorned with tiny gold shimmer – don’t be put off by this it is only noticeable really close up your not going to end up looking like Edward Cullen in daylight. I have used this all over as a primer but mixed with foundation it’s a gorgeous aluminising tint, also across you’re decollate or basically anywhere you want. I think this will be my best friend in winter, when we tend to look a little less perky and well grey this will add a fresh rose bud glow to my tired face! So yes £30.50 is quite a lot of money for what it is however a little goes a very long way and it is very beautiful. P.S it is exclusively available and Boots.